ICRI / ILAM is committed towards expending the horizon of learning. It has joined hands with Ajeenkya DY-Patil University, Pune. Linked to exemplary 'ADYPU Student Experience', which is supported by excellent facilities and highly motivated teaching staff hence adding value to its diversified courses by incorporating the niche courses of ILAM as collaboration. Under this collaborative arrangement, two new schools “School of Clinical Research & Healthcare Management” & “School of Logistics & Aviation Management” have been created to offer the UGC Recognized UGs & PGs programmes to young aspirants. State of the art facilities that inspire ideas and creativity where students are always welcome to try new things, get their hands dirty, prototype and create amazing new concepts. An engaging learning environment ensures student success through pedagogical models that foster innovative mindset, encourage creativity, and enable inspired teaching. ADYPU focuses on innovation and leading the convergence of humanities, business and technology. ADYPU is a place where students are empowered to make a difference and inspired to create something of enduring value – an advantage that is exceptional and quite rare. All world class facilities are made available to the students which include Wi-Fi campus, well-stocked library with 4025 e-books. Classrooms:Smart, spacious, well ventilated and IT enabled classrooms are the centre of attention. The multiple conference halls, seminar halls, meeting halls, auditorium, the amphi-theatre and the Open-Air theatre facilitate smooth conduct of all the events in the University. Canteen: The most modernized and centralized kitchen facilities with different food joints like CCD are available. 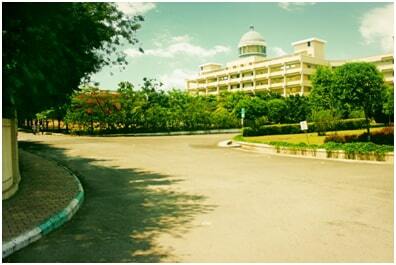 Hostel: Providing a comfortable and safe environment to its students is the University’s top most priority. The in-campus departmental store, snack shop, book store and other such amenities ensure that the students have all their basic requirements easily inside the campus.